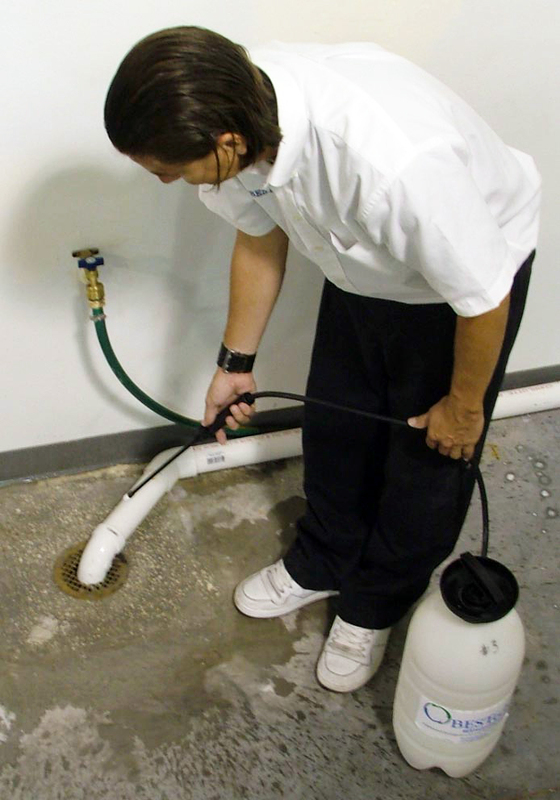 Seldom used drains and difficult to clean areas, such as under equipment or beverage tower drains and the like, are attractive places for build-up and for odors to originate. 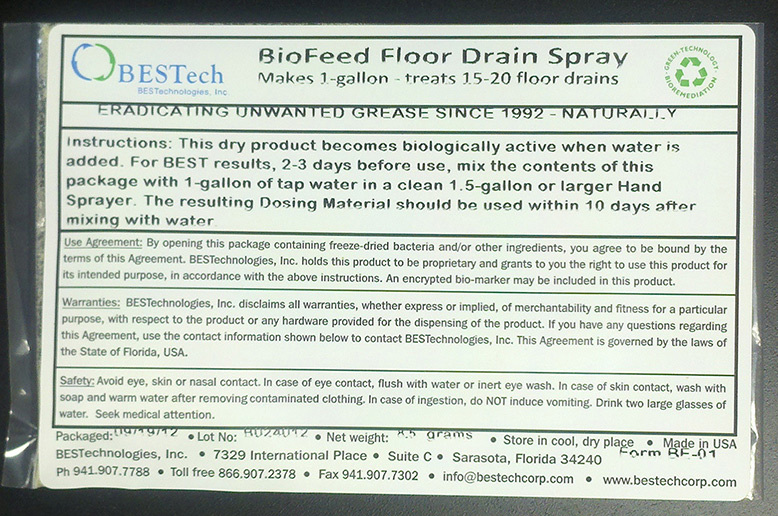 BESTech’s Biofeed FS® Spray Treatment attacks and eliminates the existing grease and organic matter from which odors are emitted. You may have wondered why bleach or other caustic products (which we recommend you NOT use) are ineffective at removing grease and emitted odors. The reason is simply because most cleaners do not eliminate grease. 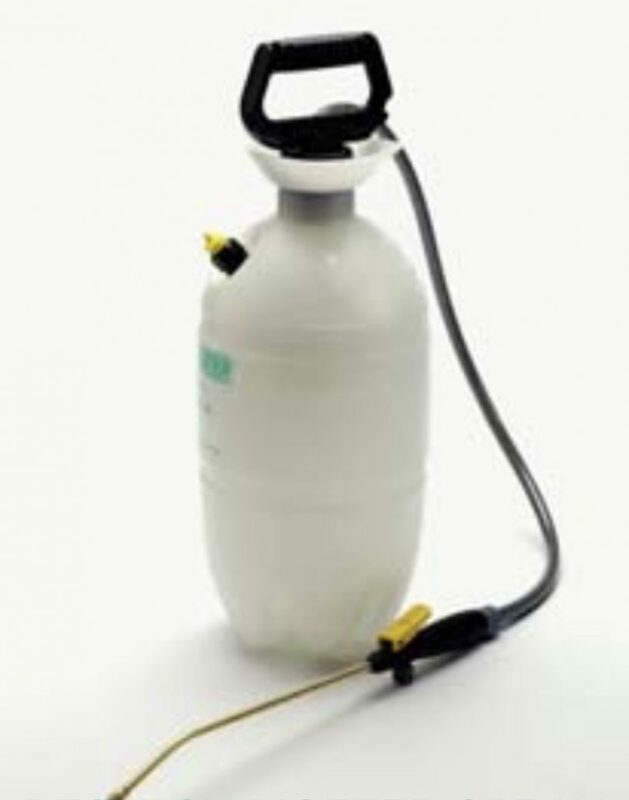 This 2.5 gallon capacity Hand Sprayer is used to dispense our Part # 8281 or # 8282 BESTech Floor Drain Spray. 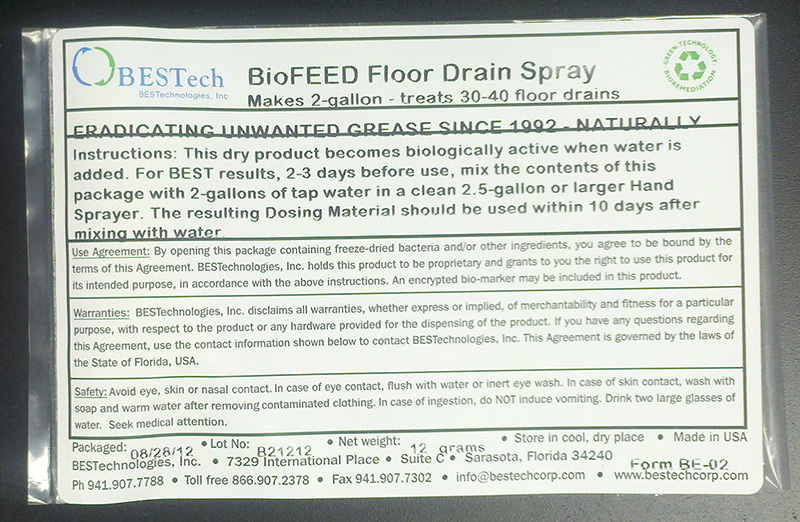 Poly-bag containing live, vegetative, freeze dried bacteria – enough to make 2-gallons of floor drain spray. (Makes 1-gallon of Dosing Material – enough to treat 15 – 20 floor drains). Dispensed with our #8222 Hand Sprayer (2.5-gallon capacity). (Makes 2-gallons of Dosing Material – enough to treat 30 – 40 floor drains). Dispensed with our #8222 Hand Sprayer (2.5-gallon capacity).